The 2nd Blue vision photography festival has begun. The 2nd blue vision international photography festival has been officially begun with Tayebe Siavashi, member of Iran‘s parliament, Mohammad Ali Zareh, head of cultural affairs at the University of Tehran and Shahram Zargar head of student affairs at the University of Art as a special guest. The poster of the festival was unveiled at the opening ceremony and miss Siavashi talked about the importance of this festival when it comes to the environmental affairs. She also insisted on the necessity of an artistic take on clean and recoverable energies and how it can play a key role in how people‘s behavior shape around this new technologies. She said she believed that involving people is the key to creating an everlasting change. The official press conference took place with an appliance from Mohammad Ali Zareh, head of cultural affairs at University of Tehran Amin Mokhtari chairman of blue circle environmental group and also the artistic director of the festival and also Masood Mokari the chief director of Blue Vision Photography festival. During this conference, Zareh talked about the urgency of finding a solution for environmental crisis and how it fits with University of Tehran vision of future. He said that collaboration with society is an important setting stone for finding solutions. Amin Mokhtari, Chairman of blue circle environmental group commented that a blue circle is an international group active in several countries and on its way to becoming an NGO in the country. He cited the recognition, introduction and help for student projects as the main goal of this NGO. Masood Mokari the chief director of the festival also talked about the festival‘s stats and the 6,120 photos that have been submitted to the festival from various different countries. 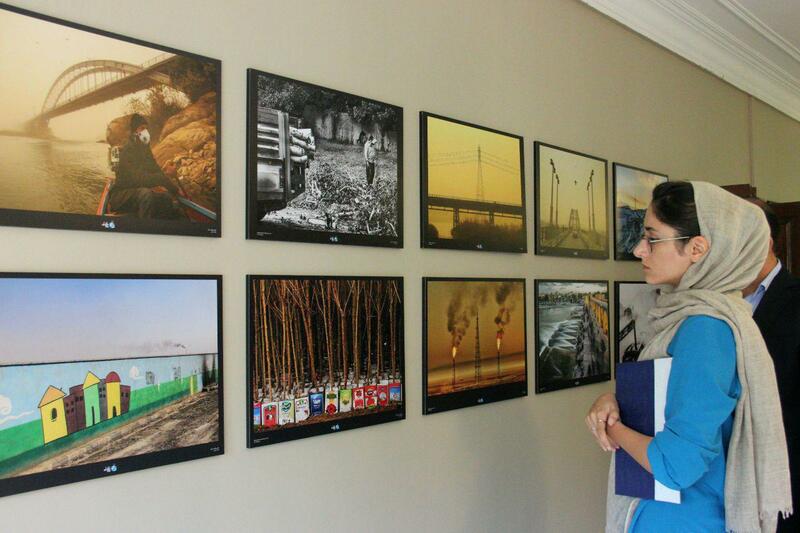 Out of these 69 Iranian photographers and 13 international photographers have been selected to be showcased at the festival‘s exhibition.